Hilo, Hawaii personal injury attorney Louis P. Mendonca has achieved numerous verdicts and settlements on behalf of accident victims on the Big Island and throughout Hawaii. Louis P. Mendonca handles litigation arising from all types of personal injury, including auto, motorcycle, bicycle, and pedestrian accidents, as well as cases involving wrongful death. Attorney Louis P. Mendonca understands that while you are experiencing an emotional and stressful time following an accident or injury, it is important to know how to protect your legal rights and options. We have compiled this page of frequently asked questions to provide some basic but very important information about personal injury issues and concerns. If you or a loved one has been involved in an accident, please contact Louis P. Mendonca, Attorney at Law to schedule a free, personalized consultation. If you’ve been involved in a motor vehicle accident, obtain the other driver’s license, registration and insurance information. Seek immediate medical attention for your injuries or any passengers who are injured. Try to document everything that you can remember about the accident, by writing down the exact location of the accident, position of the vehicles, the time of day, weather conditions, any obstacles in the road, where you were going and coming from, any people with you in the vehicle, and any witnesses to the accident. Take photos with your cell phone camera. Record as many details as possible even if they do not seem important right away. 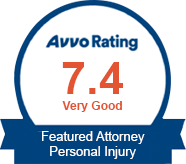 Consult with an experienced Hawaii injury lawyer to determine what information is relevant or helpful to your case. In the days following the accident, keep notes or a journal of your physical and emotional condition, including notes of any pain, anxiety, and sleep loss. Also, record any medical treatment, doctor visits, or time missed from work as a result of the accident. This information will substantiate your claim for damages and recovery. If you were injured in a motor vehicle accident, the other driver’s insurance company may offer you a settlement, but these offers are often far less than you need and deserve to cover your damages. Insurance companies are in business to maximize their profits by paying as little on claims as possible, and they have a full staff of attorneys on their side to protect their interests. An experienced Hilo injury attorney such as Louis P. Mendonca can help you level the playing field, protect your rights and receive full and fair compensation for your injuries. An attorney will help you investigate the circumstances surrounding your accident, determine all responsible parties and potential sources of liability assess what is a fair settlement amount for your injuries, and challenge low settlement offers from the insurance company. In the event that a fair settlement offer cannot be negotiated with the insurance company, Louis P. Mendonca is prepared to litigate your case at trial to obtain the compensation you need and deserve. Hawaii insurance law requires all drivers to carry liability insurance on their vehicle at all times. At a minimum, drivers must have insurance to cover $20,000 per person/$40,000 per accident in bodily injury liability coverage, and $10,000 per occurrence in property damage. Even with such low minimum requirements, as many as one in eight Hawaii drivers on the road at any given time are not carrying insurance. The odds of being struck by an uninsured driver are much higher than you might think. Fortunately, you do have options if you are hit by a driver without insurance. If you have Uninsured Motorist/Underinsured Motorist (UM/UIM) coverage on your own policy, then your insurance company will cover your damages if you are hit by an uninsured motorist. If you are hit by a driver with only the minimum liability amounts, and your damages exceed the amount of the other driver’s insurance, UIM coverage may cover the difference. Hawaii law requires your motor vehicle insurance company to pay the bills for your injuries and your passenger’s injuries up to the personal injury protection benefits (“PIP”) limit, which is a minimum of $10,000 per person. What types of other insurance coverage are available in Hawaii? In addition to collision and comprehensive, uninsured (“UM”) and underinsured (“UIM”) coverages, there is also coverage available for wage loss, alternative care (including alternative healing methods such as naturopathy, acupuncture and faith healing), death benefits (coverage may range from $25,000 to $100,000), funeral benefits, PIP deductible and PIP managed care. Your personal injury lawyer will carefully review all available forms of coverage to determine all possible sources of recovery for your accident. It is important to remember that even if you are submitting a claim under “your” insurance policy, the insurance company is still motivated to pay as little as possible on your claim. Legal representation is still essential to make sure you receive the full amount of compensation to which you are entitled. 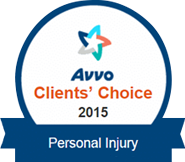 Can I pursue a claim for the injuries and damages I suffered in an auto accident? You may pursue a claim against the person responsible for the accident. Even if you were partially responsible for the accident, you may be able to recover some of your damages if you were less responsible for the accident than the other responsible person. Hawaii law also requires that you meet a tort threshold before you can pursue a claim for damages. The most common method is to incur medical expenses paid by PIP of at least $ 5,000. There are other methods to meet the tort threshold for which you should consult with an experienced Hawaii injury lawyer. I was the victim of a hit and run. What should I do? This situation is typically handled the same way as if you were hit by an uninsured motorist. If you do not know the identity of the other driver or car that hit you, contact a personal injury attorney in Hilo for assistance in filing a claim under your UM coverage.